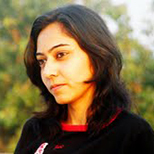 Mridu Khullar Relph is a journalist and editor based in New Delhi, India. She reports regularly on the environment, women's issues and eco-friendly businesses for national magazines and newspapers. Her work has appeared in publications such as Time, The New York Times, The Christian Science Monitor and others.